Over 60 senior citizens enjoyed the January 2017 event. In the spirit of partnership working the Christmas Party for senior citizens in Cockermouth was this year invaded by the town's University of the Third Age Latin Dancing troupe! 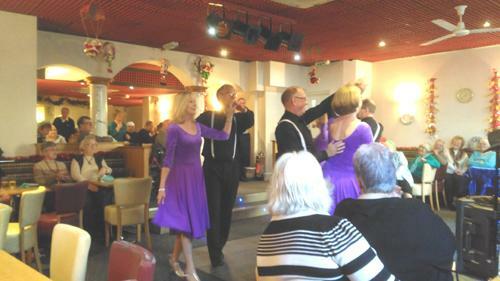 In the spirit of partnership working the Christmas Party for senior citizens in Cockermouth was this year, January 4 2017 invaded by the town's University of the Third Age Latin Dancing troupe! 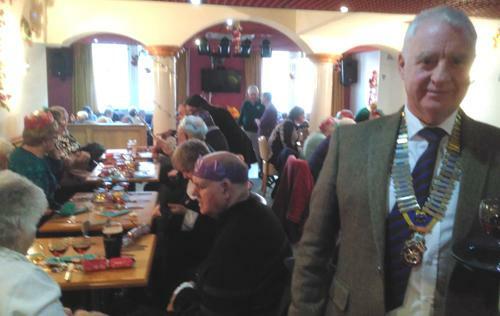 After a successful meal organised by the Club and AgeUK over 60 diners enjoyed both music from Rotarian Richard Bennett, ancient jokes (some very ancient!) from Mr Billy Bowman followed by the tango and samba from the colourful dancers. 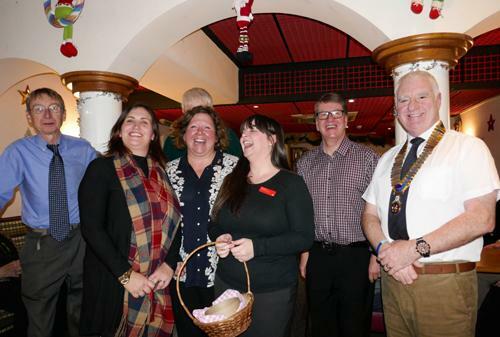 Once again the event was a big success thanks to the Cons Club staff, Lakes Bakes and Age UK. Thanks were given to all by this year's President Andy Carter, who even got dragged onto the dance floor.